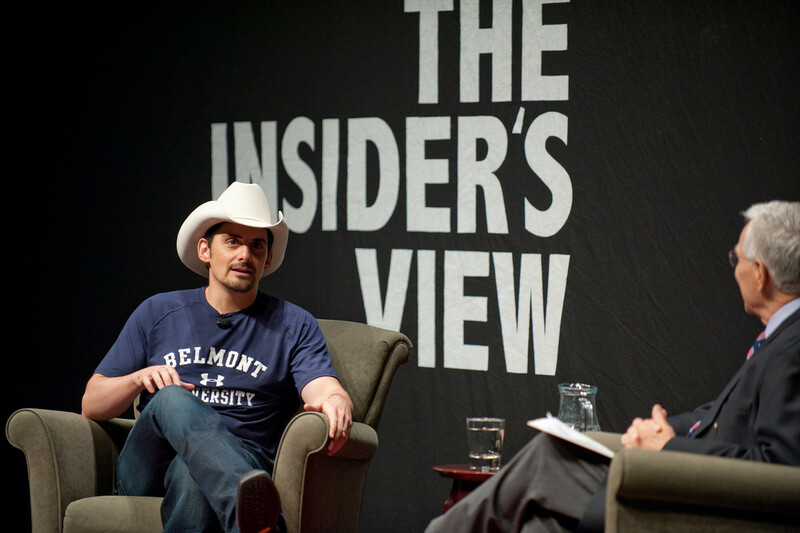 Three-time GRAMMY Award-winner and proud Belmont alumnus Brad Paisley is set to be the focus of a new exhibit coming this November to the Country Music Hall of Fame. The exhibit will detail the entire span of Paisley’s career, beginning with his first major performance at an event sponsored by a local radio station in Wheeling, West Virginia at the age of 13. The exhibit will be open from November 18 to May 14, 2017 and will include artifacts from the country star’s life and career, ranging from musical instruments to tour clothing to important items from Paisley’s childhood. The range of pictures, stories and artifacts will represent his journey from talented child musician to one of the biggest names in the country music industry. Above all, the exhibit hopes to shed light on Paisley’s mastery of guitar and instrumental techniques. Paisley graduated from Belmont in 1995 as a music business major. Since then, he has pursued his musical career, earning 14 Country Music Association (CMA) Awards, 14 Academy of Country Music (ACM) Awards and two American Music Awards. He has been a member of the Grand Ole Opry since 2001 and has had 23 #1 hits, 20 of which he wrote or co-wrote. Paisley has also collaborated with industry powerhouses George Jones, Dolly Parton and Bill Anderson as well as countless others. For more information on the exhibit, click here.